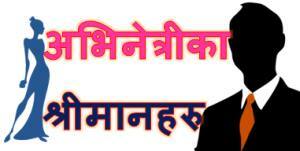 The first movie by actress Nisha Adhikari is going to release on Mangsir 1. The production team has released the music video of the movie recently. In the song titled ‘Timlai Sani’, actors Saugat Malla and Benisha Hamal are featured. Recorded in the voice of Dharmendra Sewan and Maruti Bhandari, the lyric and the music are compose by Sanish Sunuwar. In addition to producing the movie, the actress Nisha had also co-choreographed the song with the director Simosh Sunuwar. Saugat and Benisha are featured in the leading role of the love story movie. The song is composed in a folk tune and is set in a village. Like a lot of other actresses, Nisha Adhikari had also debuted in the film production with this movie. A short while before the release of the movie, Nisha decided to get married to her long-time sweetheart, Sharad Vesawakar. They were seeing each other for a while and there were rumours of their separation a while ago. The marriage held a couple of months ago was a total surprise to her fans. Nisha started as a model and the first representative of Nepal in Miss International beauty contest. She had also participated in Miss Nepal 2008 contest. But, the contest was canceled in the last minute. She worked in a number of movies, got trained in acting in the USA. She also has set the record of being the first actress to climb Mt. Everest. 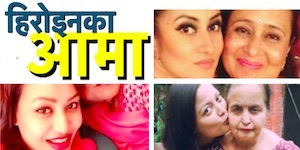 A sports person, model, seasoned actress, music video director and now a producer, Nisha is a multi talented personality in the Nepali entertainment industry. Relatively a new face in the film industry, Benisha Hamal is also a talented actress. She debuted as an actress in ‘Swor’, a 2010 movie. After that she has acted in a few movies. One of the most notable movies of Benisha is ‘Kalo Pothi’. Before debuting as an actress, Benisha had worked in various radio and television stations as a RJ an VJ. 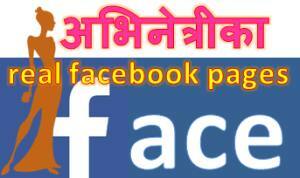 This entry was posted in News and tagged Benisha Hamal, Nisha Adhikari. Bookmark the permalink.